The Board of Carroll County Commissioners has voted to move forward with a discussion and vote to set up a Charter (County Executive) or Home Rule committee. The committee would write the new rules for a Charter or Home Rule government which would be put to the voters in 2018. 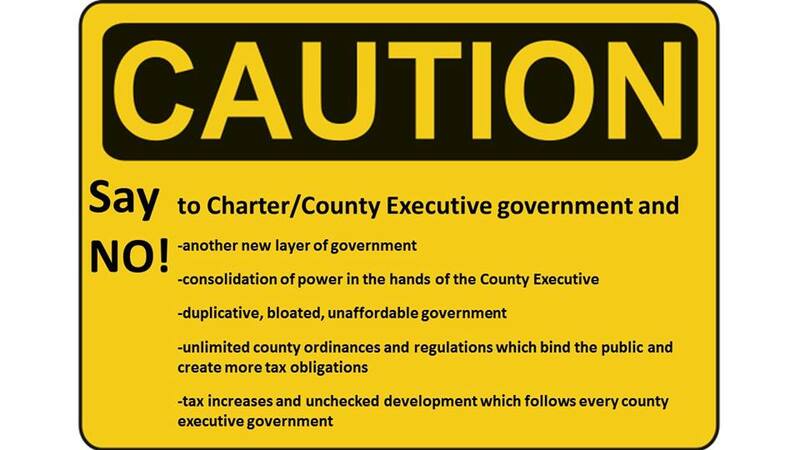 The Carroll County Republican Central Committee opposesmoving away from the Commissioner form of government toward Charter or Home Rule government and urges voters to contact their Commissioners by phone at 410-386-2043 or by email at commissioners@ccg.carr.org. Changing from one type of government structure to another is expensive. Retrofitting buildings, hiring an additional layer of employees to serve the new structure of government, and wage increases for current employees in expanded roles all add to the expense of a new government structure. The current five Commissioner districted government has been in effect just over one full term and the Commissioners are already spending more than they are collecting in yearly tax revenues. Consolidating power in the hands of fewer officials, as these changes would do, short circuits the system of checks and balances that curb government excess. Also, there is no specific problem this change is targeted to address. The effort to bring unnecessary Charter or Home Rule government to Carroll County is being supported by Commissioners Dennis Frazier and Doug Howard. Commissioner Richard Rothschild opposes this measure. Commissioners Stephen Wantz and Richard Weaver have yet to make their stances publicly known.